In order to provide quality jobs and sustain higher income levels, Singapore will have to focus on boosting productivity through nurturing high-value industries. 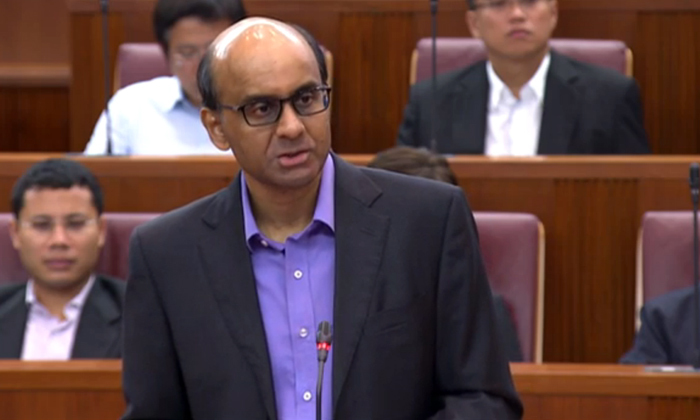 That was one of the key points in Deputy Prime Minister and Minister for Finance Tharman Shanmugaratnam’s Budget Speech, which was delivered this afternoon. He said the tighter labour market and increase in salaries are a result of the restructuring of Singapore’s economy. Therefore, in order to sustain wage increments, productivity levels have to go up. “We need a workplace culture where employees’ views and contributions are valued, up and down the line. When employees are engaged and empowered, productivity goes up,” Shanmugaratnam said in this annual address. He added Singapore will also have to create a culture of mastery of the job, where individuals, companies and the society as a whole “take pride in developing expertise and flair in every vocation, seeking not just competence but excellence”. “Employers have to support this too – doing the job well is what counts, not long hours on the job,” he said. As of March 2014, the payout for the Wage Credit Scheme is estimated to reach $800 million, with a reported increase in take-up rates for the existing Productivity and Innovation Credit (PIC) scheme. The decision was also made to extend the PIC scheme, which was due to expire in Year of Assessment (YA) 2015 to YA2018. This three-year extension will cost Singapore’s government S$3.6 billion. This year’s Budget also includes changes to CPF contributions. “We will raise CPF contribution rates for those aged above 50 to 55 by 1.5% to 1% from the employer and 0.5% from the employee. We will also raise the employer contribution rate for those aged above 55 to 65 by 0.5%,” he said, adding all increases in employer contributions will be allocated to the Special Account. Additionally, there will 1% in employer CPF contribution for all workers, which will be credited into the employee’s Medisave account. To help companies manage the change, the government will provide a 50% offset through a one-year Temporary Employment Credit, up to the CPF ceiling of S$5,000. Both CPF changes will take effect January 2015. Shanmugaratnam also said there has been a significant drop in foreign workforce growth in the last two years, particularly in the services sector, adding there will be “no further moves to tighten foreign worker inflows except in the construction sector”. The perfect answers to: Where do you see yourself in five years? Across APAC, costs are expected to rise by 7.8%, with insurers expecting the outlook for medical costs to continue increasing over.. These revamped career matching services under WSG and NTUC are complimentary for employers and job-seekers alike. .. Rents for an unfurnished three-bedroom apartment across popular expat neighbourhoods now average US$4,535 per month. ..